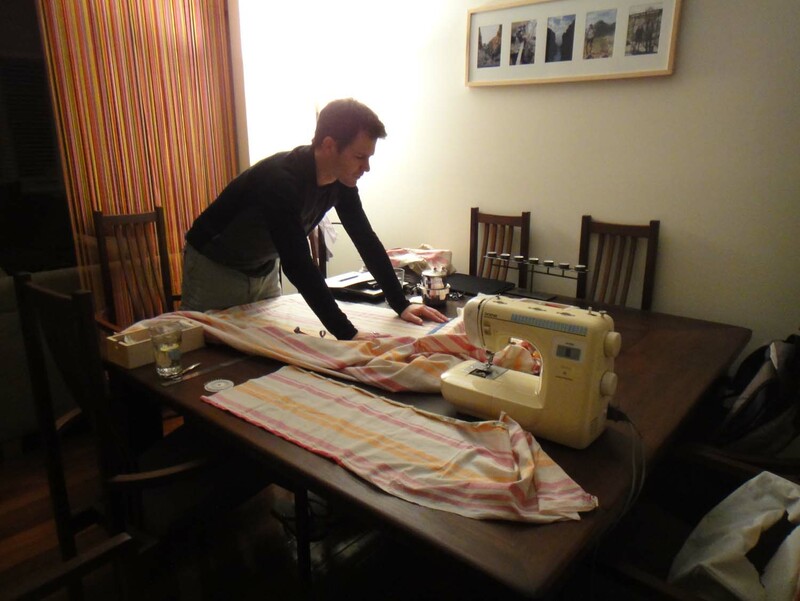 We borrow Zoe’s sewing machine (thanks Zoe!) to get started on the clothes pods. We will have 4 each and will be accessible from the gull wing doors. The idea is to hang them with velcro into our current storage bins above the rear wheels. We’ll add some photos of that once the gull wing doors are in and the aluminium shelving is in place. This way we should have plenty of space for all our clothes and shoes. Pics coming soon, coming soon… We’ll take lots before she is loaded and I will try to add them to the blog next week! Loving your sewing machine Zoe! Curtain number one is nearly finished, now to start on the second one!